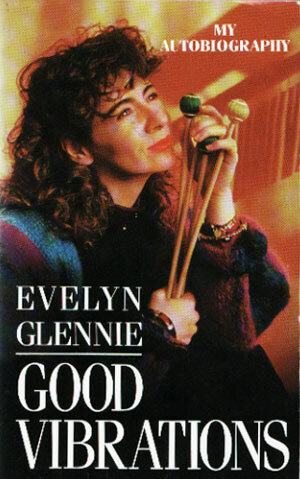 I have worked with Dame Evelyn Glennie many times over the years and she mentions me in her autobiography. 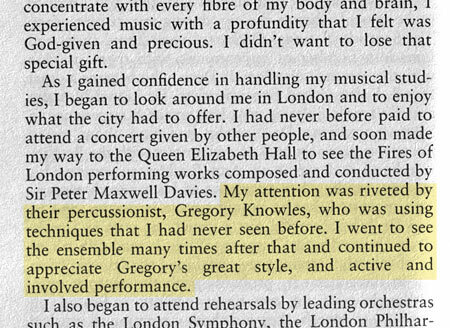 At that time I was a member of the Fires of London working with Sir Peter Maxwell Davies. She heard me perform at the QEH on the South Bank and remembers the concert as being influential to her early career. This entry was posted in Articles and tagged Books, Dame Evelyn Glennie. Bookmark the permalink.